I really didn't want to go for galaxies with the Moon out. 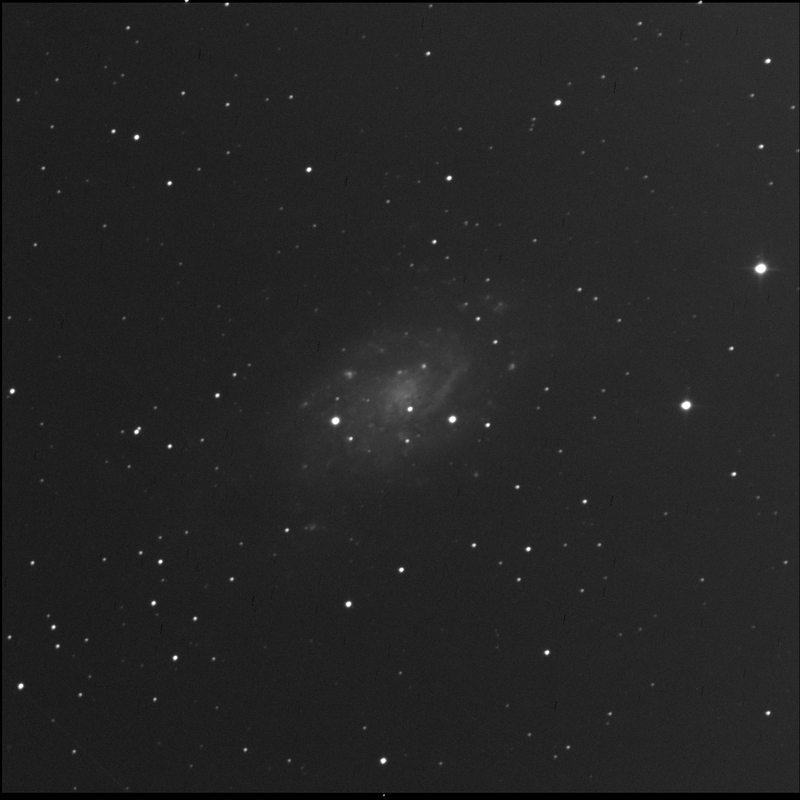 Alas, BGO imaged NGC 2403 (aka Caldwell 7) for me. A big spiral galaxy in The Giraffe. One of the RASC Finest NGCs. An interesting feature of this canted galaxy, even though over 10 million light-years away, is the very large nebula visible. 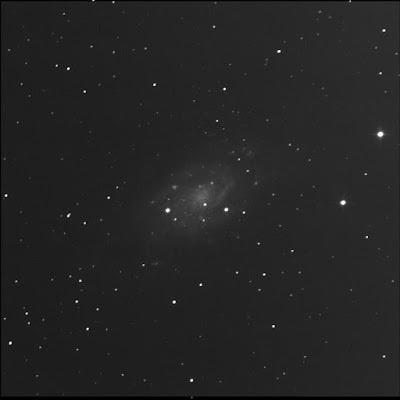 That's NGC 2404. To us, it appears just east of the core. Quickly assembled the data for a colour image. While updating ST3P, I found this NGC in my "edge-on galaxies" list. Ah, no. Forgot that I quickly imaged this with the SLOOH system back in Feb 2011. Collected better data on 3 Feb.